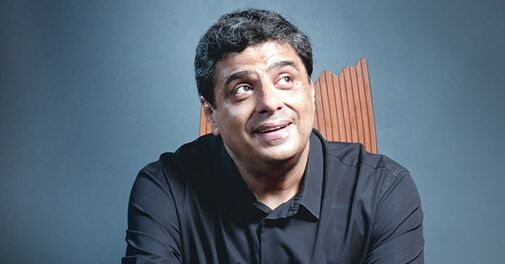 Can Ronnie Screwvala cast a spell in television? Ronnie Screwvala understands the magic as well as the reality of cinema. Today Disney UTV is king of the Bollywood box office. Its television business, though, has continued on the journey started five years ago without getting too far. Some of the common ways in which real estate developers try to cheat property buyers. Ronnie, as Screwvala is better known, is seen as an enigma in the Indian media and entertainment business, like Disney was when he was shaping the future of Hollywood. A must-read for emerging market companies which want to build global brands. Abhijit Roy MD & CEO, Berger Paints India Ltd shares his many firsts. A new generation of start-ups has developed a host of agricultural tech products such as livestock disease diagnostic kits and compact cotton spinning machines to make farming easier, safer and more efficient. Vicinia looks like a postcard Wi-Fi restaurant, but its fare is nothing to rave about. At the second Business Today breakfast meet, held in Hyderabad, CEOs brainstormed on ways to spur innovation, particularly in a downturn. Headphones incorporating noise cancelling technology make a world of difference.